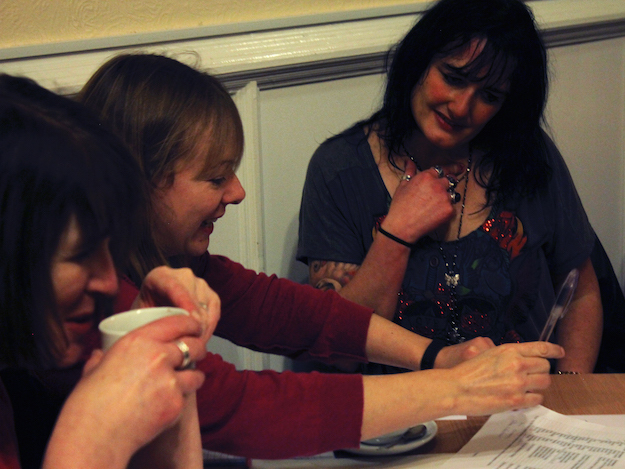 In November 2014, Perthshire Creates held 6 Open Sessions – open to anyone working or studying within the creative and cultural sectors. 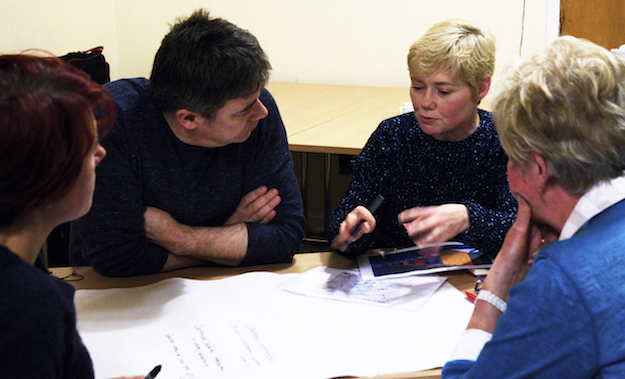 We wanted to find out what creatives across the Perth and Kinross area needed from a new network, before creating any kind of online platform. 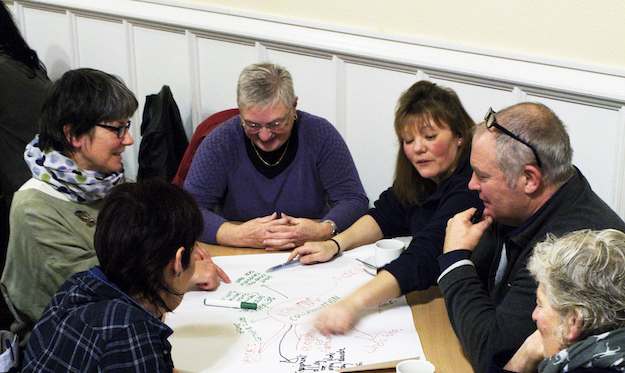 In total, over 70 people joined us at the six great sessions in Perth, Blairgowrie, Pitlochry, Aberfeldy, Kinross and Crieff (full details of where and when the sessions were held, here). A really diverse mix of people came with backgrounds including: visual arts, cultural organisations, design, craft, literature, digital businesses, poetry, music, theatre, retail, the voluntary arts, further/higher education and many more! The sessions gave us the opportunity to outline the aims of Perthshire Creates; and through small group activities people told us about the key challenges and opportunities they face; highlighted what support would benefit their practice; and mapped out creative and cultural organisations across the area. 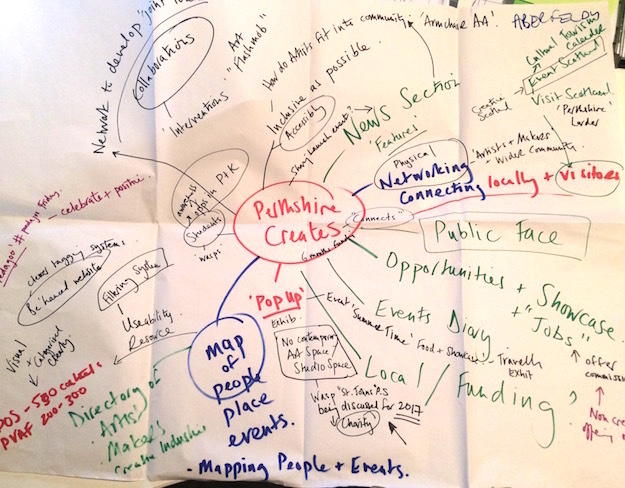 Some of the current challenges which creative practitioners/businesses cited included: how to increase visibility and exposure within the public realm; finding contemporary arts venue space to show/perform work; how to encourage young creative talent to stay in the area; and finding informal opportunities to speak and meet creatives from all backgrounds and share knowledge. Key opportunities from the sessions included: people to come together across disciplines and pioneer a new way of working with each other; increasing the visibility of places becoming year-round ‘maker’ hubs; and the chance to find out what’s happening right across the area online. When the groups were asked what they would like to see from the new Perthshire Creates network, suggestions ranged from: pulling together the different organisations across the county online to be more than a ‘what’s on’; through to beating the drum louder about what the area offers; and creating a creative skills directory; to running collaborative events. It was really interesting to hear that in most sessions attendees generally didn’t know many other people in the room; and as participants were encouraged to bring their work/marketing materials, this was useful for information exchange and networking. Something which we hope this new website will do further as it begins to develop. 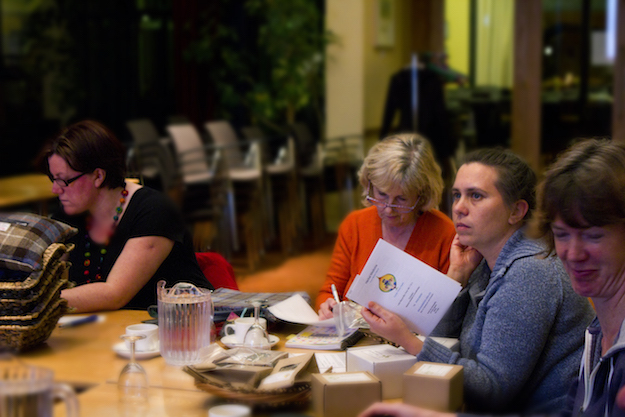 These sessions also gave Perthshire Creates a great opportunity to meet many interesting creatives and we’ve now begun to populate the site with their stories. We just wanted to say thanks again to everyone who came along to the sessions and shared their ideas so enthusiastically, we hope that you like the new site and continue to support the area’s creatives to grow. Thank you. Thanks also to photographer Steph Fulke for the photography.